I met you today at Tatton and bought cards; I wonder if you've visited India, I'm there often and think a drawing of Varanasi would be amazing. Arrived in one piece and now looks fantastic hung on the wall. 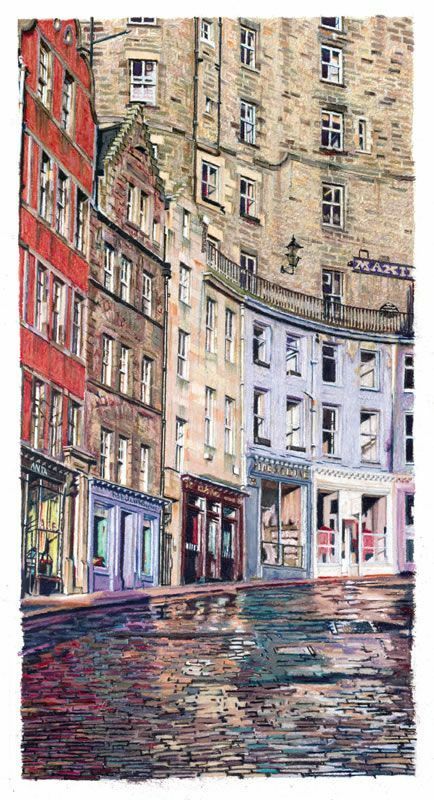 Situated in the heart of The Old Town curving down from the Royal Mile to the Grassmarket, Victoria St. features many of the brightly painted shops which characterise this area of Edinburgh. The colours reflect on to the wet surface of the cobble stones and combine to make this a rich and vibrant piece. 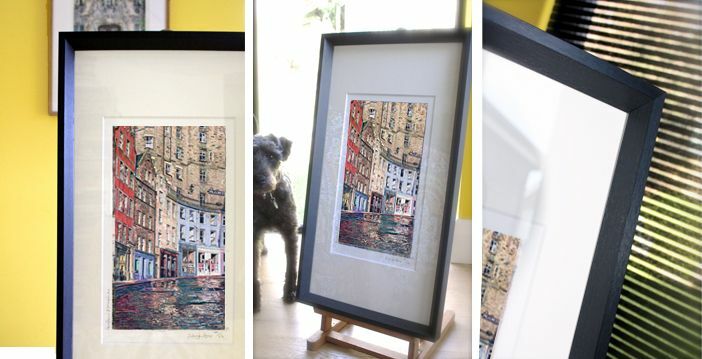 New range black frame with museum mount. My frames and mounts are to museum quality. Museum mount is thicker than standard to give a greater visual depth and more accentuated surround to the print. If you are looking for a particular frame to match your own requirements then please click below on my 'ask a question' tab to discuss your needs.